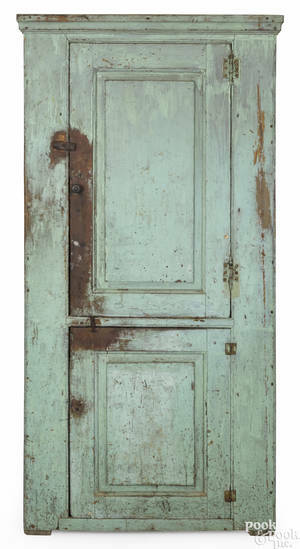 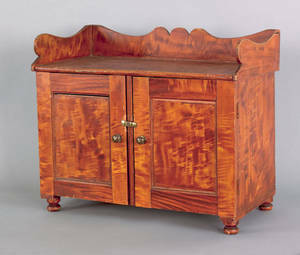 Realized price for English Pine Cupboard, 19th C.
English Pine Cupboard, 19th C.
English, 19th century. 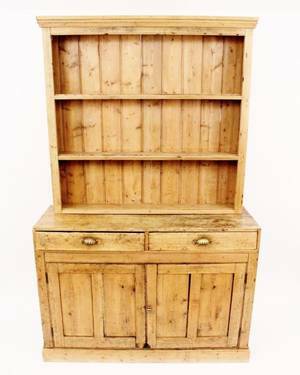 Provincial pine wood china cupboard with bookshelf or china storage top (with three storage shelves)resting upon a storage base with two small pull out drawers with brass demilune metal pulls over two large hinged doors that open to reveal storage within. 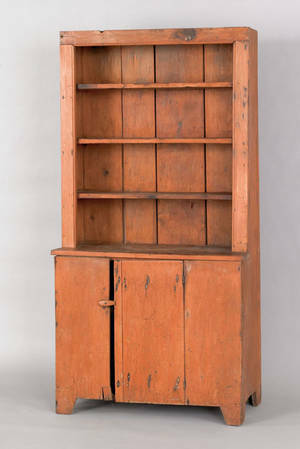 Height 85", width 53", depth 17.5". 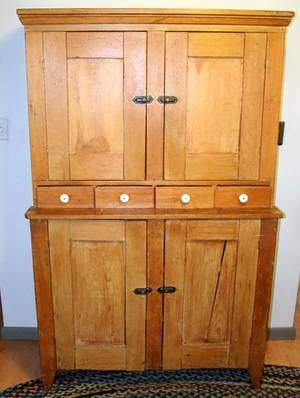 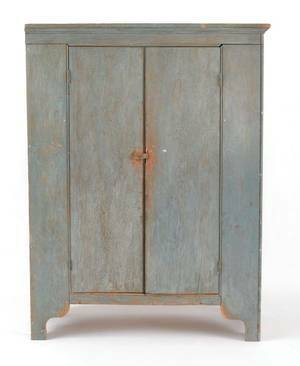 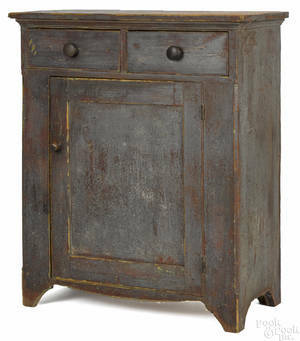 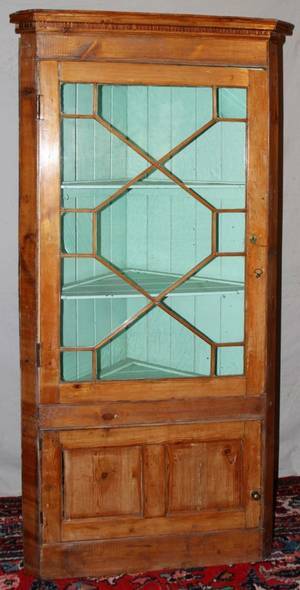 Archived auctions similar to English Pine Cupboard, 19th C.
Painted pine cupboard, 19th c.
Pennsylvania painted pine cupboard, 19th c.
Child's Empire painted pine cupboard, 19th c.
081344: IRISH PINE CUPBOARD, 19TH C., H71" W45.3" L17"
091265: ENGLISH PINE CORNER CUPBOARD, 19TH C.
English pine Welsh cupboard, 19th c.
English pine child's cupboard, 19th c.
American painted pine and poplar miniature Dutch cupboard, 19th c.
New England pine stepback cupboard, 19th c.